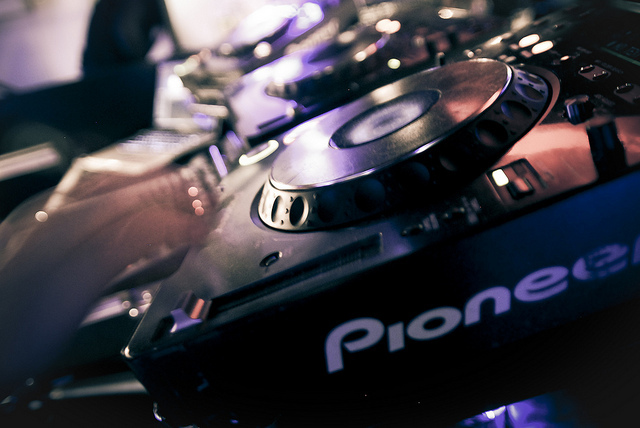 Pioneer’s CDJ sometimes seems as much a part of the club scene as … a bar. An NI software update marries the decks and their onboard UI to Traktor’s mix, cueing, remix, and library features. Photo (CC-BY-ND) Will Will, in the UAE. Some surprise news out of Native Instruments today: NI’s Traktor can now integrate with Pioneer hardware, including the CDJ. We’ll see how the news will be received by DJs, but it at least suggests an attempt by the two companies to make their tools coexist in more peaceful fashion. The integration itself is best seen in the video, but it’s pretty impressive: for users comfortable with Pioneer’s flagship mixer (the DJM-900) and the CDJ deck, the stuff in Traktor is accessible directly from hardware. It could also be part of a larger trend: it’s computer functionality, away from the computer. That extends not only to controllers and these sort of integrated DJ solutions, but a wide variety of attempts, ranging from designers to hackers to DIYers to big companies, to take what makes the computer great while getting away from the familiar folded hinge of a laptop display. This software update does, however, fall short of widely-desired functionality in Traktor, extending control of the new Remix Decks to third-party hardware and making MIDI assignments in general more flexible. I expect we’ll hear from some critics in comments for that reason, but I’d also see this as an accelerated release cadence out of NI that could see those sort of controller features soon. I’ll certainly be watching for them. It’s never been easier to set up Traktor in the club. The latest 2.5.1 software update provides plug and play usability with Pioneer’s CDJ Series (2000/900/400) and DJM-900 Nexus Mixer, thanks to advanced HID support. Use the CDJ to access tracks, cue points, loops and more in Traktor, with all relevant information on the CDJ’s display – from track artwork to detailed waveform displays. This integration gives CDJ users access to powerful features such as Traktor’s Remix Decks, sync, superior cueing and looping, intuitive browsing and world class effects. Traktor memorizes your settings, so every DJ booth becomes your DJ booth, no matter what equipment is installed.